The 29-year-old Jamaican, who holds the world 200m record with 19.19 seconds, will line up against Britain's European 200m champion Adam Gemili. Britain's Zharnel Hughes, fifth in last year's World Championship 200m, also runs in the event, which serves as the London leg of the Diamond League. It will be Bolt's eighth appearance at the London leg - he first appeared in the former Golden League in 2005, aged 18. 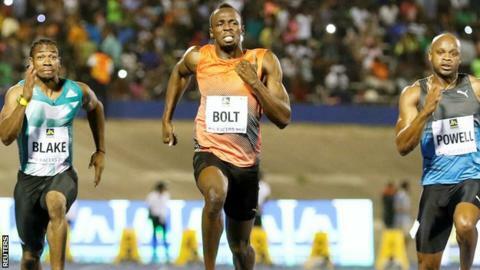 Bolt said: "The London Anniversary Games will be one of my last races before Rio and running in the 200m will hopefully set me up for a successful Olympic Games." You can watch live coverage of the Anniversary Games on BBC Two, the BBC Sport website and app.